Thank you for taking the time to find out how you can join us. Click on the video below to see why we are one of the best schools in Cornwall and why our students think we are your best choice for the education of your children. We believe every student should have access to a world class education and, whilst the application process for the 2019 intake closed on 31st October 2018, we are always happy to consider applications from new students from outside of the area, parents wishing to change schools for their children in any year group or if you have changed your mind about the school you would like your child to attend from September 2019. The process for this varies depending on when you would like to join us, however a useful guidance document can be downloaded from Cornwall Council here. To view our admissions policy please click here. 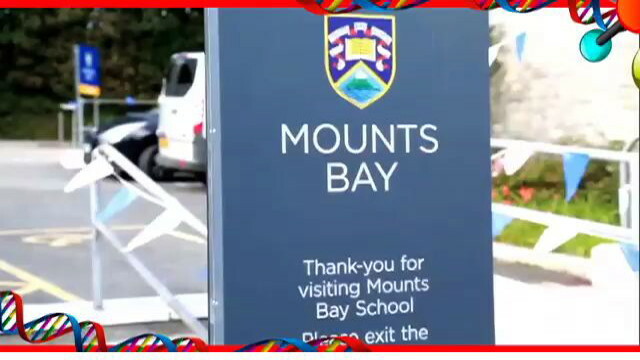 If you would like more information, wish to visit the school or meet the Principal for a personal tour of the school, please telephone reception on 01736 352326 or contact the Laura Sadler, Executive Assistant to the Executive Team, on 01736 352320 or email:lsadler@mountsbay.org. If you require any assistance, or further information, please do not hesitate to contact the Academy on 01736 352326. We look forward to receiving your application, thank you for taking the time to apply. Mounts Bay Academy is a non-selective school for pupils aged 11-16 year. Applications for places at the Academy are to be made under the Cornwall Local Education Authority’s Coordinated Admission Agreement on a common application form provided by the Local Authority. Children in Care who are classified as ‘Looked After’ by the Local Authority. Children with unequivocal professional recommendations from school medical officers or education psychologists that non-placement would result in medical or physical harm. Children who have a sibling attending the Academy at the proposed date of admission. Children how attend a local nominated primary school on the closing date for applications in the year preceding admission the secondary school. In the event of two or more children having equal priority from the above criteria, the child living closer to the Academy will have greater priority. In addition to the right of appeal, unsuccessful candidates will be offered the opportunity to be placed on a Waiting List, which will be maintained by the Academy in order of the over-subscription criteria. Cornwall Local Authority’s In Year Fair Access Protocol will take precedence over any child already on the Waiting Lists. The Academy will carefully consider exceptional requests where appropriate, and together with the LA, will make a decision based on the particular circumstances of each case. In the event of a place being available in the appropriate year group an offer of a place at the Academy will be made. If no places are available the child will be refused a place at the Academy. Parents of children who are refused a place at the Academy will be notified of their right of appeal and will receive advice from the LA regarding alternative schools. All parents who are refused a place for their child will be advise of their rights of appeal to an independent panel. The Local Authority, on behalf of the Academy’s governing body, will administer such appeals.